Por and para both mean for and it can be confusing working out which to use. Below are some rules to help you decide. You can learn some of the set expressions that use por here. Ready to give it a try? Have a go at these exercises. 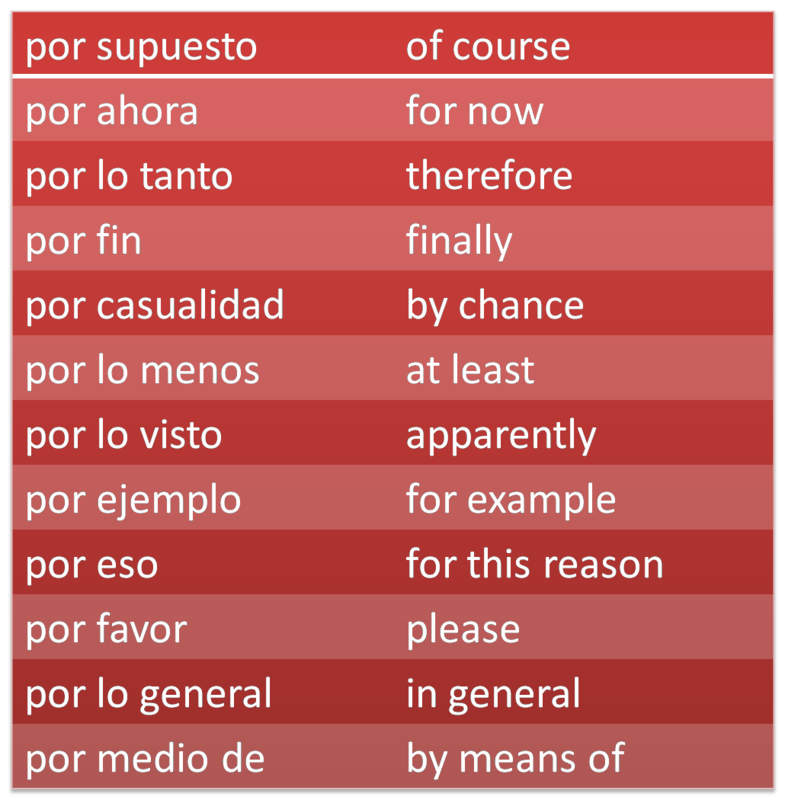 These expressions go with por and you will need to learn them in order to improve your work. Connectives link together your ideas. They help you to expand your sentences and make the text flow more easily for the reader. Using connectives in your work will help you to produce more detailed and sophisticated answers. Use some of the connectives below in your work. For regular verbs, remove the AR, ER or IR ending and add the correct one from the list below. Take care to think carefully which for you need when you use names. For example: Maria and I could be replaced by we so you need the nosotros form. Kelly and Jphn could be replaced by they so you need the ellos form. It is very important that you learn these endings and apply them correctly. Choose español --- grammar units --- the present tense. There are a number of interactive exercises for you to complete. 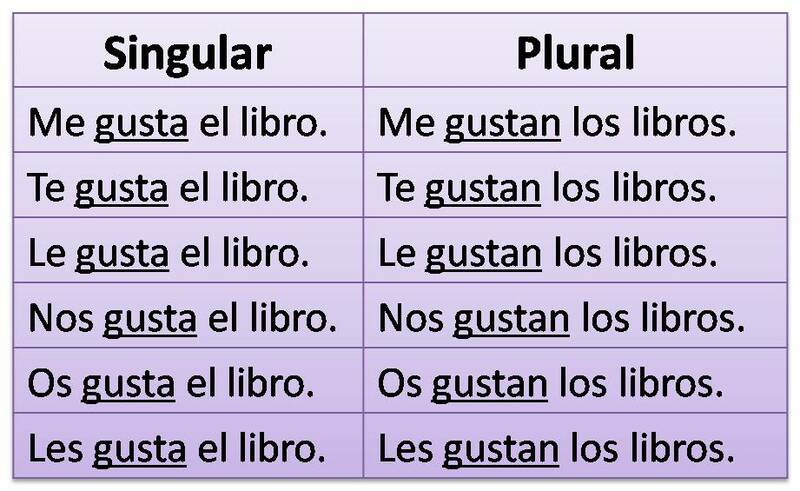 You use gustar to show what you like, but you use it in a slightly different way to other verbs and you need to make it agree in the plural. 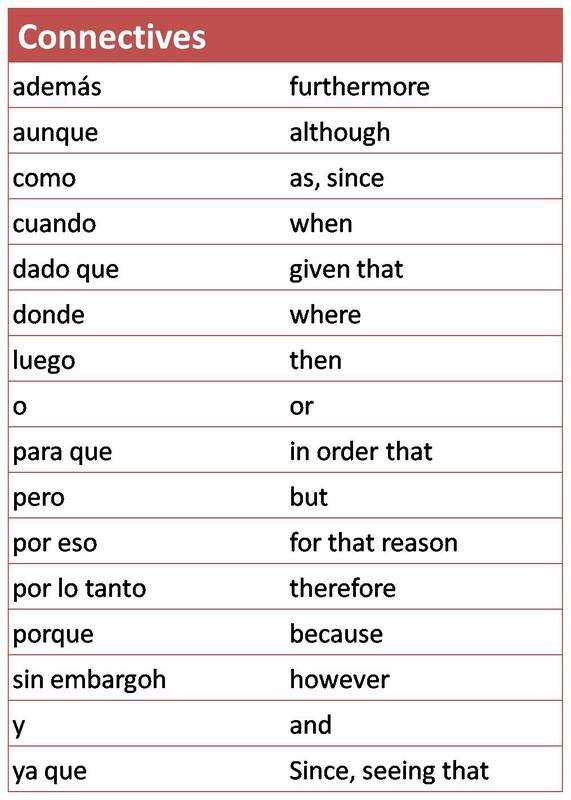 Use the table below to help you use it correctly in the present tense. Remember if you want to say you don't like something, put no in at the start. No me gusta comer fruta. If you would like to know more, then there is a useful video below. 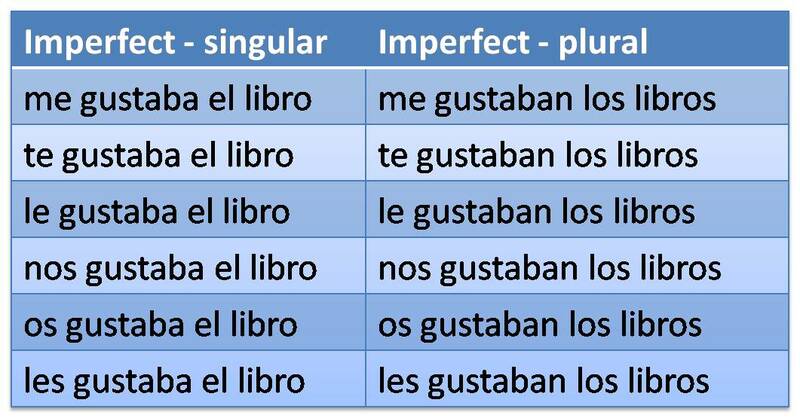 I suggest you concentrate on mastering the present tense first but the forms of the preterite and imperfect tense are shown below. Rule 2 - the adjective must agree with the gender of the noun. Many adjectives end in -o when you find them in the dictionary. If you are talking about a feminine noun, then you change the ending to -a. If you find an adjective in the dictionary that ends in a letter other than -o, (like importante), then it stays the same for both masculine and feminine nouns. Rule 3 - the adjective must agree in number as well as gender. This means if you are talking about more than one noun, then you need to add an -S to the plural also. Watch the video below to help you learn the rules and then complete the interactive exercises to practise. There are some exceptions, but if you follow these three rules you will usually be correct. Try these interactive exercises to help you practise. The present tense is used to describe things someone does everyday or very often. I wash my teeth / I play football on Saturdays. It also describes single present tense events - What are you doing? I am cleaning. ¿Qué quieres? - What do you want? The imperfect tense is also used to describe what was happening during an account of something that happened in the past. For example "I was eating when the phone rang". I was eating would be in the imperfect tense. Feelings and mental actions also usually use the imperfect tense. María was feeling sick. María estaba enferma. These phrases can be used with the imperfect to show how frequently an action occurred in the past. There are several ways of what happened in the past in Spanish. 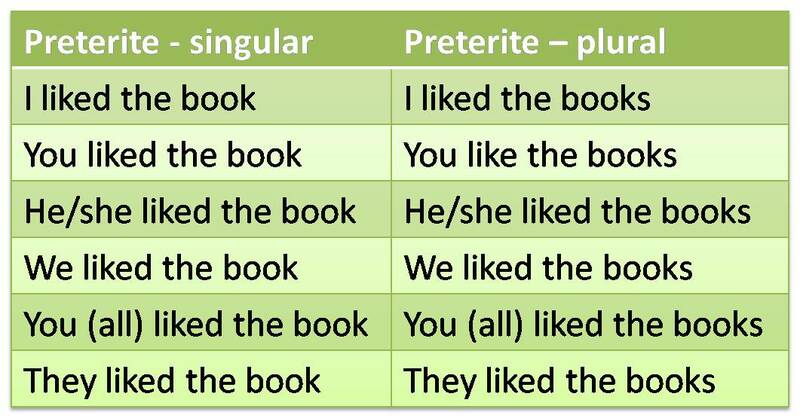 The preterite tense is used for actions in the past that are seen as completed. 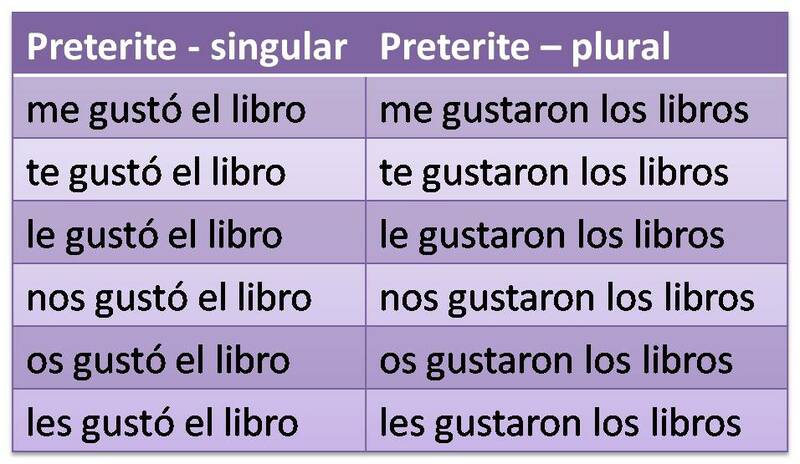 Use of the preterite tense implies that the past action had a definite beginning and a definite end.